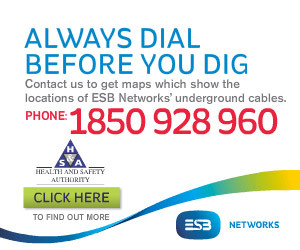 Hundreds of vehicles break down on Irish roads on a daily basis and for us all, it is a frustrating experience. Panic can often be the initial over-riding feeling as motorists fear over what to do. A vehicle doesn’t have a conscience and won’t break down in a convenient location for you, but more often than not it will be somewhere that may be unsafe, like on a roundabout, bend or a busy road. Fear not though, there are many companies that specialise in the recovery in the vehicles, while some go that extra length to ensure that the customer and their passengers are relieved of the stress from the incident. One such company is the subject of our recovery vehicle specialist profile for this month’s edition of Irish Trucker. Dublin based WeTowU24/7 Recovery & Towing are located in St Margaret’s, Co Dublin and have been established since 2016. The directors of the company Steve Wright and Mark Curran have many years’ experience in the industry, while Transport Manager Chris Cronin has been an invaluable addition to the team. With six recovery vehicles on the road, operating a 24/7 service, 365 days a year, the company has grown considerably over the past three years and the aim is to grow even further, according to Chris. “Business is going well at the moment and we are very busy. It is all about getting the name out there and developing a reputation for providing an excellent service, which is something that we have focused on over the last few years,” said Chris. The Transport Manager acknowledges that breakdowns can often be stressful and that is why the team of WeTowU24/7 Recovery & Towing endeavour to take the stress out of the situation. “A member of our friendly car breakdown recovery team can attend to your vehicle at the roadside or any location - and can have you and your passengers travelling alongside your car. “Our breakdown recovery professionals make sure your car is safely recovered to a garage, home or work - the choice is yours. We understand the stress that comes with your vehicle being off the road, so we dedicate our services to ensuring we take away as much of the inconvenience as possible. Safety is paramount in such a situation and Chris has advice for any motorist that may find themselves in this scenario. To develop a new business, investment is key and Chris revealed that Steve and Mark are well aware of that fact and invest when necessary. Chris added that the next step for the company would be looking into the recovery of trucks, but for the time being, focusing on their existing customer base was their priority. “The business is expanding all the time and recovering trucks would be an area that they want to look into, but for the moment, it is about expanding the customer base within the services that we already provide. 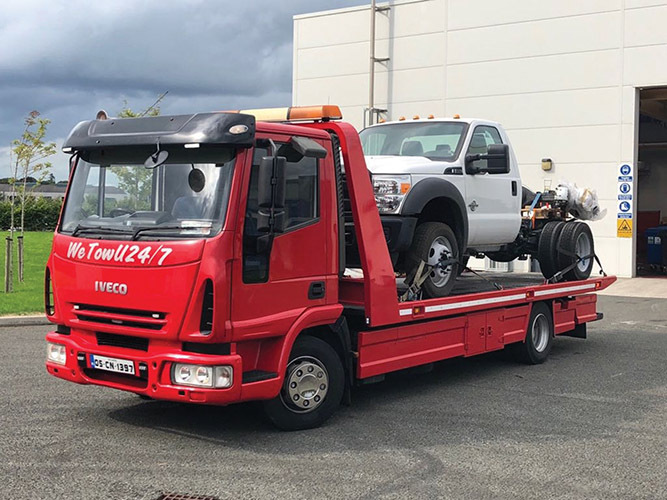 WeTowU24/7 Recovery & Towing have made it their mission to ensure that when your vehicle has broken down, you have the fastest and most reliable service in the greater Dublin area 24hrs a day. If you have broken down - they can have a car recovery expert with you to recover you and your vehicle 24 hours a day - from any location and can have a breakdown recovery assistance with you faster than any other car and vehicle breakdown service. There is no job too little – if you simply require support with a tyre change we could have vehicle assistance with you in 20-30 minutes and can have a tyre brought to your location if you do not have one. WeTowU24/7 Recovery & Towing can assist with all roadside assistance services – faulty or flat batteries, engine faults, starter motor issues and anything else. Many vehicle breakdowns are resolved at the roadside.